Would you please advise which is a good vacuum for our purpose. Hotel use approximately 15 rooms per day, carpet and tiled area. Have used 6 different vacs in past 2 years. Tired of lose of suction so we simply replace the vac. Haven’t tried a Miele yet but not sure a bagged vac would suit our needs. 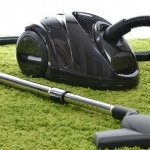 Most commercial properties opt for a numatic vacuum cleaner (Henry), as these are robust, have great cleaning qualities and are rather simple to repair if a fault occurs – and obviously we have a range of spare parts and accessories available. To help keep the suction of your vacuum cleaner as it should be, we would recommend cleaning the filter on a regular basis and emptying the bag before it becomes more than two-thirds full.